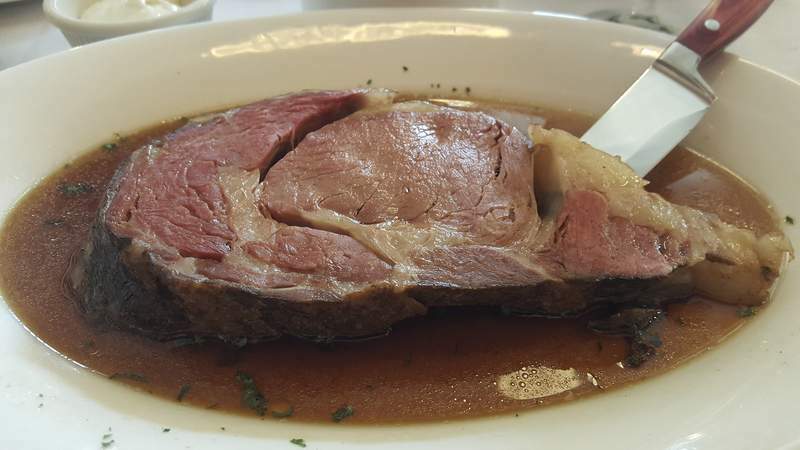 A slab of prime rib made with a recipe from The Elegant Farmer, a long gone Fort Wayne restaurant, at the Auburn City Steakhouse. The wine cellar at the Auburn City Steakhouse. The stuffed dog and tricycle that sat in the front window of the Auburn City Hardware store that now sits high atop a wall at the Auburn City Steakhouse. 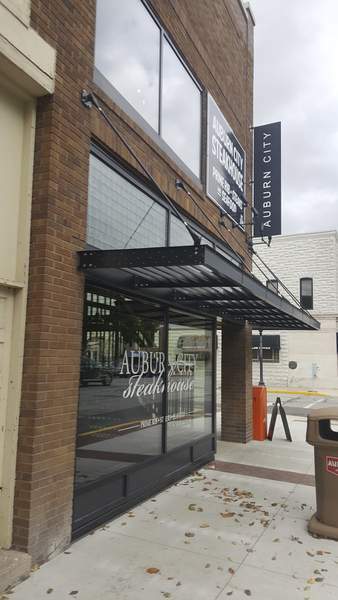 The Auburn City Steakhouse is in a beautifully remodeled Auburn City Hardware store on the courthouse square. An old safe from the Auburn City Hardware store where the Auburn City Steakhouse now resides. Broiled haddock at the Auburn City Steakhouse. A Greek salad at the Auburn City Steakhouse. The Auburn City sandiwch with a chicken breast, two cheeses, bacon and barbecue sauce at the Auburn City Steakhouse. 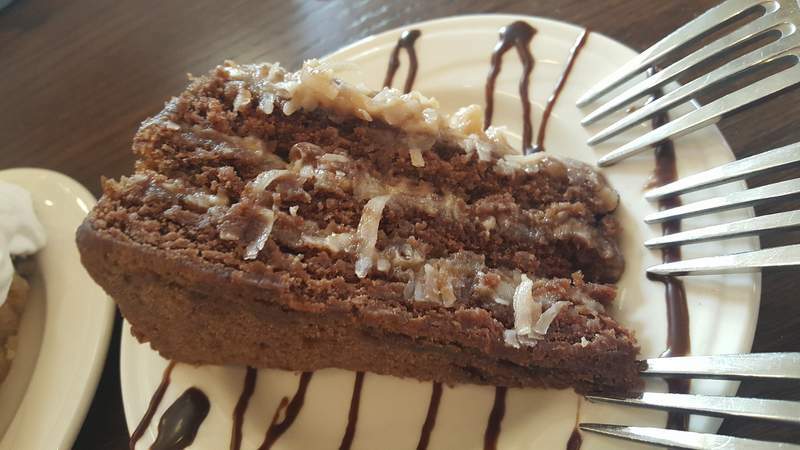 A slice of German chocolate cake courtesy of the Deli at 6th and Main served at the Auburn City Steakhouse. 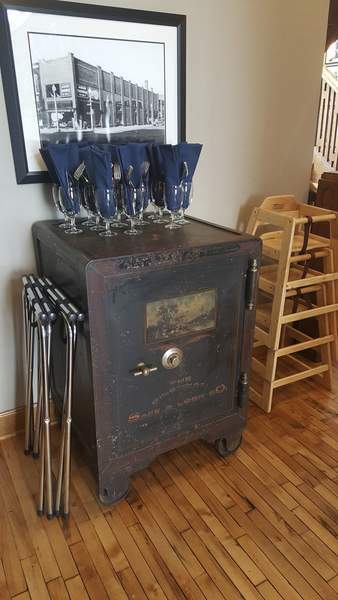 A repurposed filing cabinet from the Auburn City Hardware store made into a bar for the Auburn City Steakhouse. 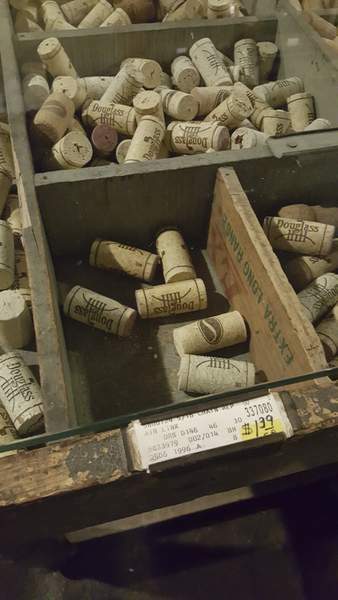 Wine corks in old sales bins from the Auburn City Hardware store where the Auburn City Steakhouse now resides. The crab claws appetizer at the Auburn City Steakhouse. 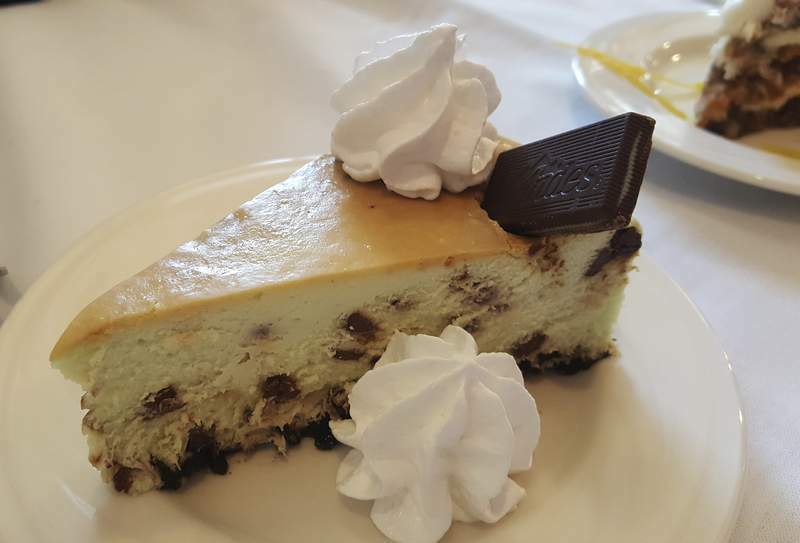 A slice of mint chocolate chip cheesecake courtesy of the Deli at 6th and Main served at the Auburn City Steakhouse. The Auburn City Steakhouse on the courthouse square. 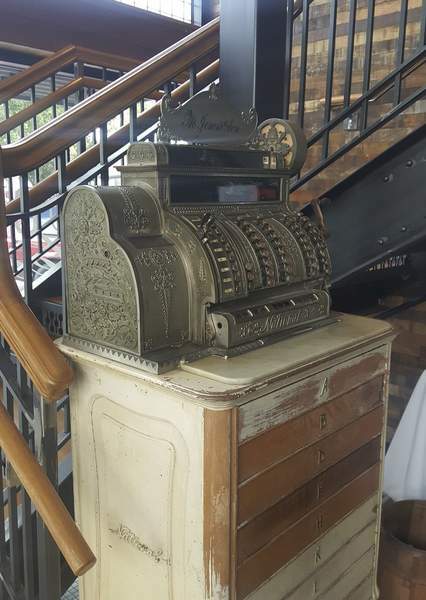 An old cash register from the Auburn City Hardware store where the Auburn City Steakhouse now resides. The Indiana Breaded Pork Tenderloin at the Auburn City Steakhouse. It was something Auburn needed, and something soaked in history that turned out to be a fabulous addition to the courthouse square. 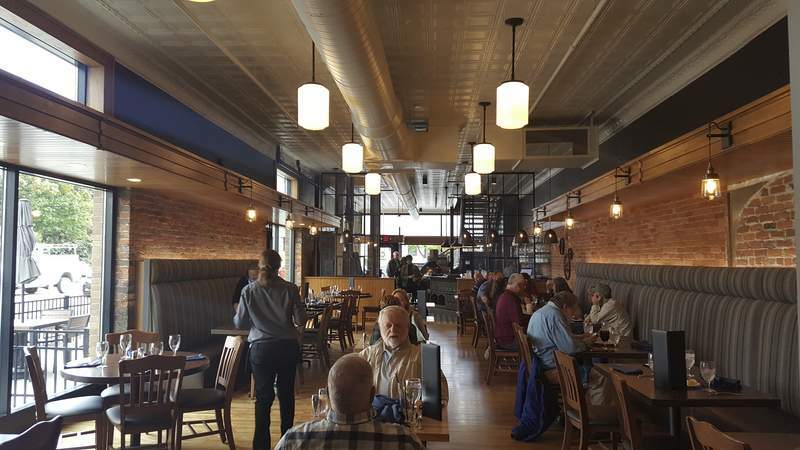 The Auburn City Steakhouse helped fill the city's need for more upscale restaurants, and the transformation of the old Auburn City Hardware store makes it one of the coolest restaurants in the area. The touches of that old store – right down to the stuffed dog and tricycle that sat in the front window – are everywhere, and they have been deftly repurposed so it is still modern and upscale. The menu was also full of history, paying homage to the restaurants that manager Bob Lebamoff's grandfather and father owned in Fort Wayne – The Paramount Grill, the Elegant Farmer and Lambro's. The signature dish is the prime rib, which, the menu boasts, is made from The Elegant Farmer's recipe. And it left me with no complaints. It was cooked to the perfect temperature, was very juicy throughout and didn't need help from the puddle of jus underneath it. It wasn't intricately seasoned, but it was so tender there was nothing I would change about it. At lunch, I had two sandwiches that will also be calling me back, one of which sounded like a historic Hoosier staple, but proved to be much different. 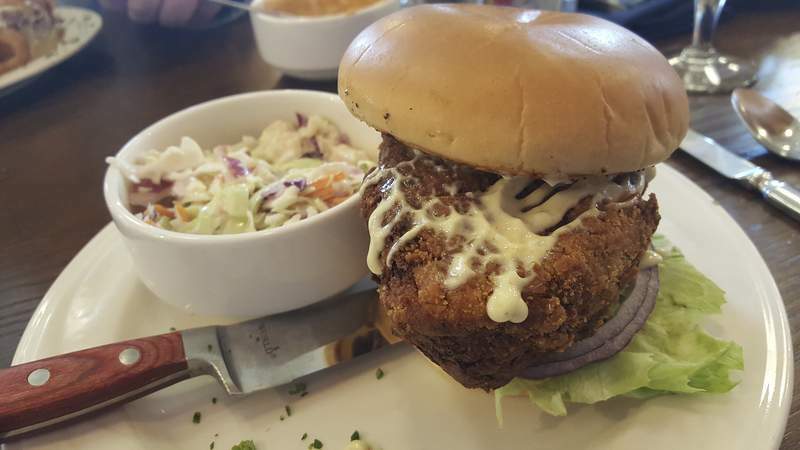 Auburn City Steakhouse's Indiana Breaded Pork Tenderloin was, indeed, breaded and fried like the state's favorite pork treat, but this pork loin was not pounded out. A nearly two-inch-thick slice was coated in a flaky bread, fried beautifully and joined by pickles, red onions, lettuce and a delectable scratch-made Dijon mayonnaise. The meat was tender and juicy, and you will need more of that mayo because there is just not enough for such a big cut and your mouth will grow wearisome from chewing on that loin without more of it. I loved the sandwich but think a different name is in order because it differs so much from the standard. Maybe just tweaking it and calling it something like the Steakhouse-style Indiana Tenderloin to set it off. The Auburn City was worthy of being a signature sandwich with its perfectly fried chicken breast, bacon, Swiss and cheddar cheeses and house-made barbecue sauce. It was still crunchy under the weight of the oozing cheeses and the sauce, and was simply delicious. It was supposed to include thinly sliced ham, but I didn't get any. But I didn't miss it, either. There was another missing item that I didn't miss in the best side. The unique “fruit-shredded coleslaw” was a straightforward savory, creamy slaw with red cabbage and carrot mixed in with the regular cabbage, but it also had diced pineapple and its juice, which gave it just the right sweetness. It was also supposed to have diced mangoes, but my server said the mangoes did not come in that week. 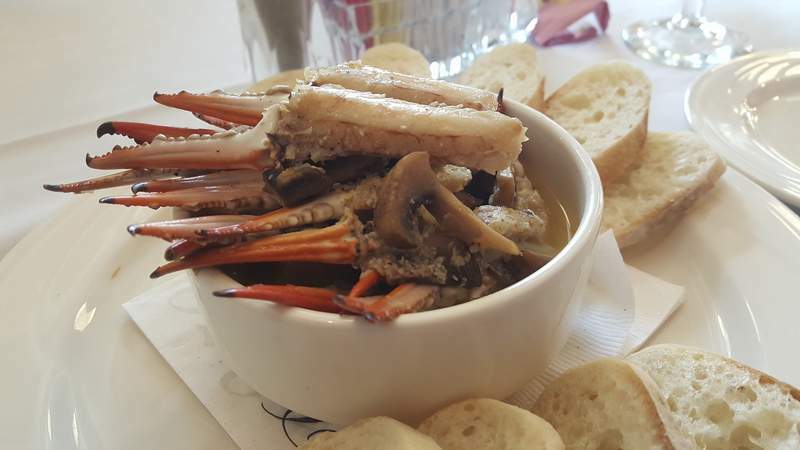 The sautéed crab claws were my favorite appetizer. A little bowl arrived overflowing with the cracked and peeled claws and mushrooms cooked in butter and garlic. The claws were fun to eat by grabbing the pointy ends and biting off the super tender, sweet meat, but the dish was cheapened by canned mushrooms, which were unsuitable for such an upscale place. It also came with toast points that really had no use. I could have used those extra toast pieces with the rather pedestrian smoked gouda cheese dip, which came with way too few. The du jour crab and corn chowder was way better than the signature French onion soup, which was OK but had a distinct sweet flavor from wine or Worcestershire that masked the hearty beef and onion flavor I seek in a good French onion. It was still better than the dreadful chicken kale and quinoa soup. Its quinoa, kale and white beans were overcooked until they were mush, and its broth had zero flavor. 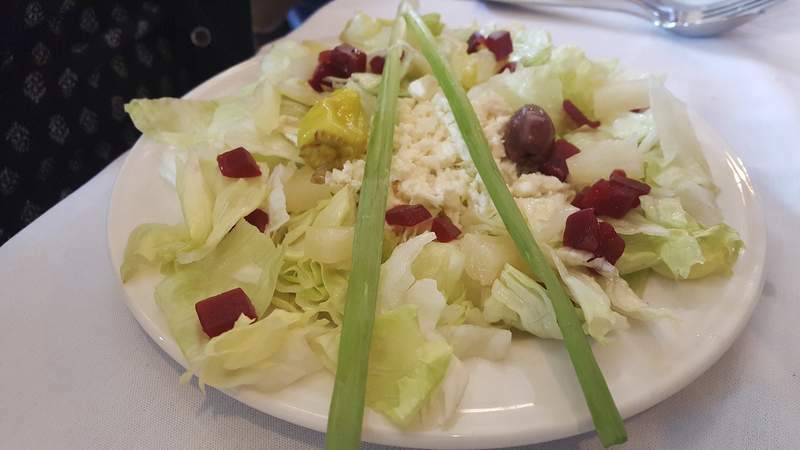 The signature Greek salad – a throwback to the Lebamoff family – was also dreadful. Made with iceberg lettuce, it also had beets, pineapple, pepperoncinis, two whole green onions tubes, crumbled feta, just one Kalamata olive, Greek spices and an oil and vinegar dressing. The lettuce was pale, making it look quite unappetizing, and it reminded me why salads like that have gone out of style. 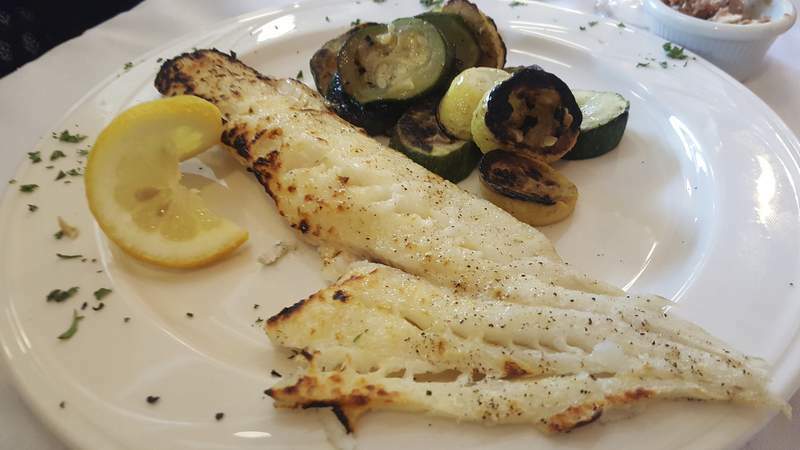 Though denoted as a special choice with the restaurant's logo next to it in the menu, the broiled haddock was bone dry inside and out – not a drop of butter on it – barely seasoned and basically flavorless. Adding to my disdain was that I chose it as a replacement. I first ordered the center-cut pork chop after my server said it was her favorite dish. But she returned moments later to tell me the restaurant was out of pork chops – at 6:15 on a busy Saturday night. There was nothing not to like about the desserts courtesy of the Deli at 6th and Main. The mint chocolate chip cheesecake was simply amazing, that is all I can say. The German chocolate cake was packed with coconut and was dense, thick, moist and rich, and the carrot cake was exceptionally made to be super moist and flavorful with a nice garnish of an orange slice on top and orange zest sprinkled about. 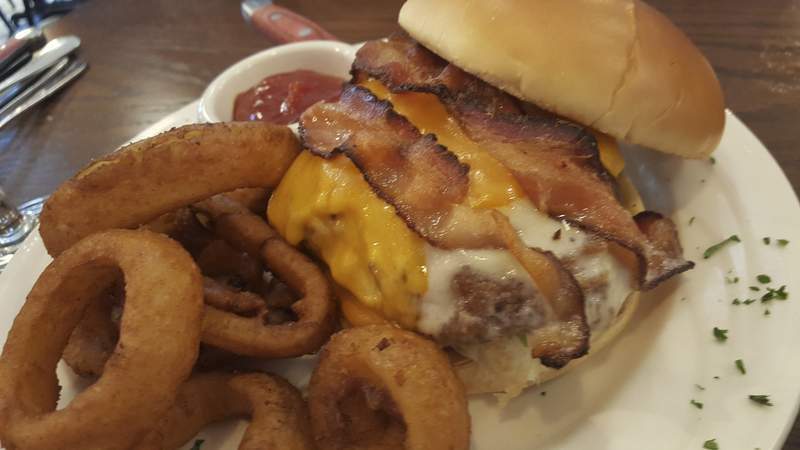 Overall, the Auburn City Steakhouse is worth checking out, if not for the prime rib, nifty sandwiches or great desserts, just to appreciate the walk through history its gorgeous setting provides. 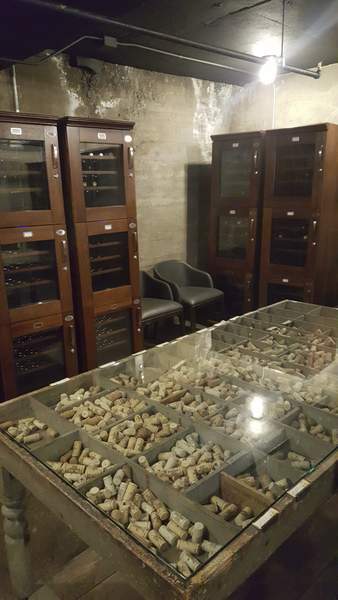 Take a peek at the Davis and James Lounge upstairs – named in honor of the builder, Joseph Davis, and the James family that owns the building – and ask to see the wine cellar, which has nifty old hardware displays still with their price tags that are now filled with corks. 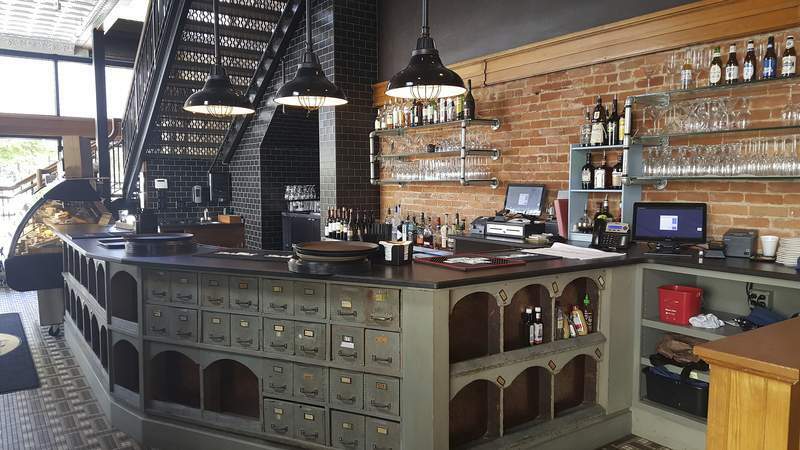 You will also marvel at the old cash register and antique storage drawer unit turned into a bar up front, and the century-old, still-working freight elevator.